I don’t know about you, but I am definitely a perfume snob. I need my perfume to be strong, attractive and attention seeking. Yes, I did just say that. Who wants a perfume so weak or ‘subtle’ that you can’t smell it, and neither can anyone else? Well, not me. I like perfume to be strong and lingering – and that’s why I’m very particular about what I spritz. Which is where Atkinsons 1799 come in. Originally the official perfumer of the Royal Court, they’ve got over 200 years of perfume snobbery under their belt. And what’s more is that you’re unlikely to smell perfume like it. Forget those brands you usually use, this is perfume at it’s purest. Love in Idleness is their latest addition to the Legendary Collection. And let me tell you this – it’s unlike anything I’ve worn before. A 100ml Eau De Toilette natural spray, this makes a stunning first impression – even before you’ve tried the scent. Housed in a stunning, classic and royal looking deep purple box, even the design screams high-end, classy and exclusive. I’ve never had a perfume that’s box has been a drawer style, so that novelty wasn’t wasted on me either. Sliding the bottle from the box, I was really intrigued to see what it would look like – and it’s perfectly matching. Looking more like a decanter than a perfume bottle, even the glass bottle itself looks elegant. Like I said – this is perfume like you’ve never seen before. Created in 1922, the scent is described as neo-victorian: which to be honest, scared me a little. I didn’t want to end up smelling like a woman thirty years older than me. On first impressions I instantly thought… PALMA VIOLETS! It genuinely smells like palma violets – and thankfully nothing like a perfume my nan would wear. Upon further inspection, I found that the perfume is based on a blended inspiration of violet flower “touched by Cupid’s arrow, and transformed into a spell-bindingly sensual love potion.” It’s a unique scent that’s delicious and heady all at once. Based on Shakespeare’s love elixir and a Midsummer Night’s Dream, the perfume is the romantic mix of a floral violet flower and a seductive woody edge. The romanticism of which isn’t lost on me as it symbolises the lovers tryst of a Shakespearian couple. It’s like a love potion – but in perfume variety. Wearing it is certainly unique. 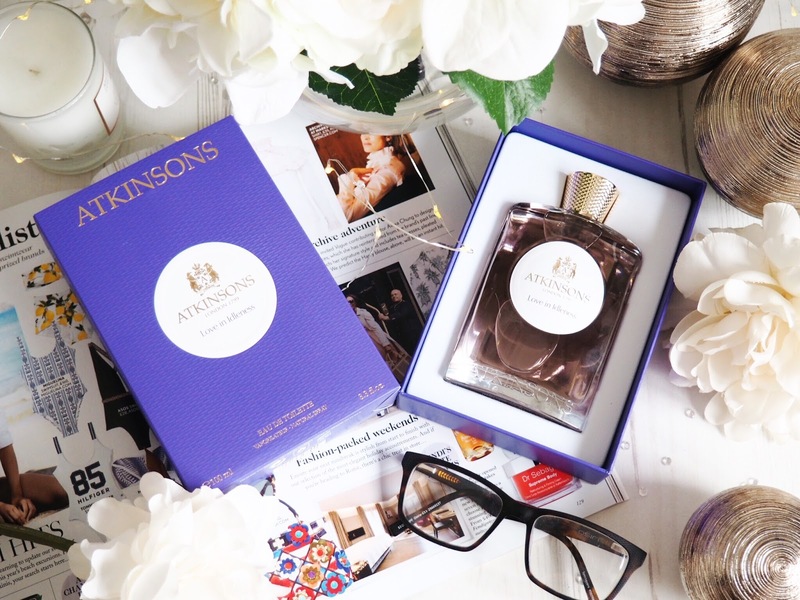 It’s strong and sultry – honestly, I feel like more of a woman when I wear this (yes, a perfume can apparently do that!) and the tale behind the perfume adds that special feeling of something that’s not common place. You don’t worry about walking past someone else who’ll be wearing this. 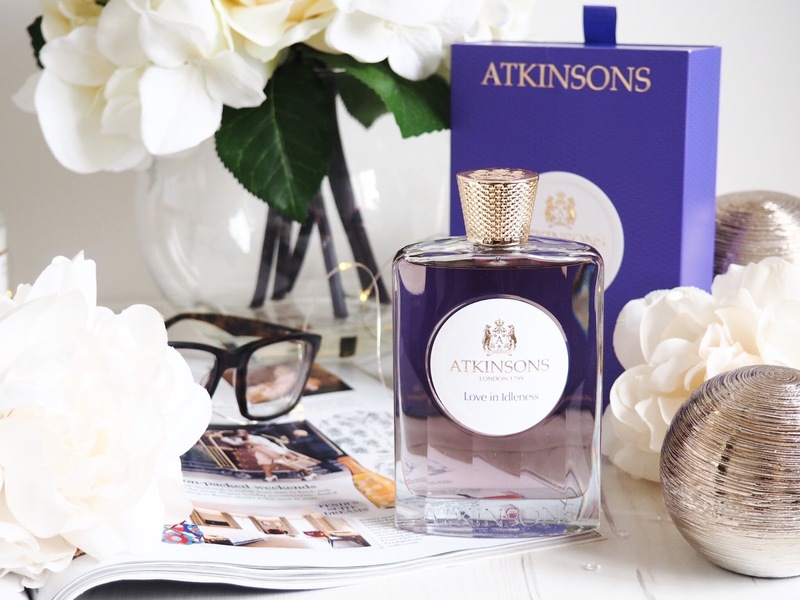 Due to the mix of scents, and the fact that Atkinsons 1799 know how to truly make indulgent perfume, the strength of scent in the perfume is like no other. It lasts for hours with the same strength without weakening and smells just as fresh as when you applied it, even hours later. 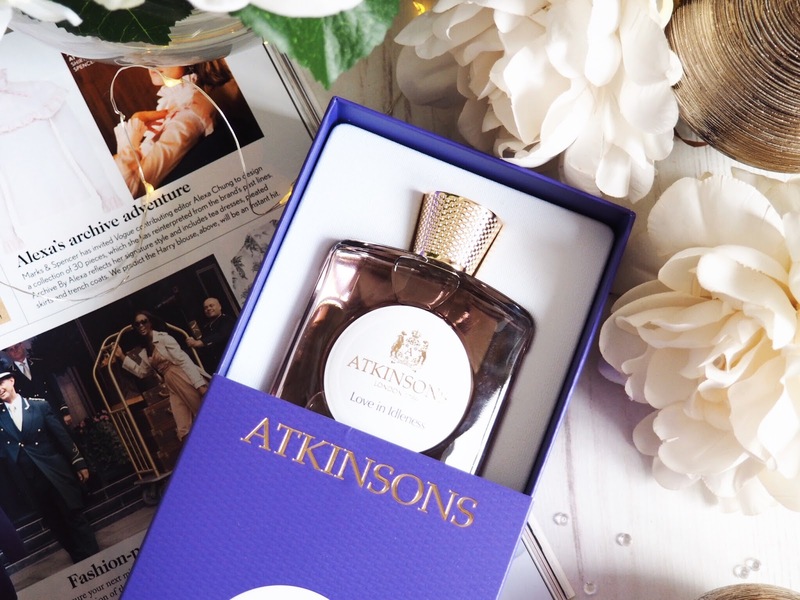 Check out Atkinsons 1799 Love In Idleness here.